Many people might not have the awareness that the underlying cause of the many above mentioned symptoms is depression; therefore, they won’t get the treatment they need. It is difficult to treat something that one has not identified it yet. Over time, serious levels of depression that are not treated get worse and can lead to other health-related issues. It can even lead to suicide. There are different kinds of depression; therefore, one person’s treatment needs will differ from someone else. The most common treatments for clinical depression involve a combination of antidepressants and psychotherapy (talk therapy). Many experts in the field believe that depression can involve imbalances in neurotransmitters, the chemicals in the brain that affect nerve-cell communication. Antidepressants are often prescribed in order to correct these chemical imbalances. Psychotherapy can help with resolving or coping with issues that may contribute to the patient’s depression. Some patients who fail to respond to standard treatments for depression might need additional resources. In my counseling work with people who suffer from depression I often notice that they have an inner critic which constantly makes them feel discouraged, inadequate and in many cases worthless. When the inner critic is the dominant voice inside a person, depression is likely to be present. Identifying the inner critic can be done by encouraging patients to pay attention to their inner dialogues. Inner dialogue involves the way a person talks to herself or himself and the quality of this dialogue can impact a person’s mood. For example, negative exchanges that take place inside a person’s mind such as, “I can never do anything right,” or “I know I am going to lose my job” can make the person feel inadequate and anxious. Helping people to become aware of the emotional impact of their inner dialogues can help them to have greater emotional awareness. There are many ways to work with negative inner dialogues and painful emotions that accompanying them. 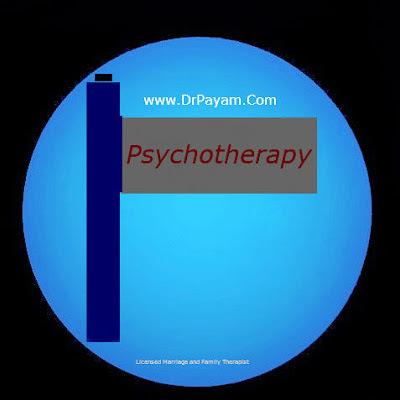 As a psychotherapist, I find it helpful to explore different treatment options in partnership with my clients. A collaborative approach helps people in therapy to feel in control of their recovery from depression. Working with a licensed mental health therapist to explore treatment options for depression is an important step toward healing. I hope anyone who is suffering from depression reaches out and gets the help they need.